Discussion in 'Denied Applications' started by ProxiPenguin54, Apr 15, 2019. Note: I will be more active on Discord and Forums. I am currently 14 years of age and I will be turning 15 on April 15th 2019. • Do you have access to a working microphone and TeamSpeak? Yes I have a working microphone and teamspeak, I prefer to use discord and my name on discord is Proxi#5070, I can also get Skype and slack if needed. • Do you have the ability to record videos? Yes I do have the ability to record but it isn’t the best of quality as I don’t have the greatest PC. • Are you Star (or above)? I am currently Solar rank on Jupiter realm and I have been contemplating on getting a rank on skyblock. 1) Where are you most active on the server? I haven’t been very active lately due to school work and homework and issues regarding family, but I plan to be most active on Jupiter realm and go onto the other parts of the network. 2) How much time do you have to contribute to the role? Minimum amount of time I can be online throughout the week = Approximately 14 hours. Maximum amount of time I can be online throughout the week = Approximately 60 hours. This is subject to change during school holidays, for example. Christmas. 3) Have you ever been banned or punished on any server? If so, please include details. Yes I have been punished on the <Server Name> network due to past hacker experience, I was caught using a hacked client on the <Server Name> network and received my punishment and I realised that being punished on a server I love isn’t fun and that hacking only gives you a small advantage for a small amount of time and makes the game very unfair and that it is wrong and since then I haven’t used a hacked client again. 4: Suppose it's your first week of being a Helper and you mute a well-known player. They're arguing and spamming you, constantly telling you to unmute them. What would you do? If a well-known user/player spams me I would first of kindly warn them/ask them to not spam me as they have received their punishment for a reason and that they should try to learn from it and just wait it out and if they do not listen I would either use the /warn command or mute them for a second offence with whatever the guidelines are given to me. 5) Tell us about a time you made a mistake within the last month? How did you deal with it? What did you learn? I was playing around on the server when I came along a bug. I kept accidently doing the bug so I got warned. I learned that I should be more careful when I find a bug. On PixelPeople I was a Helper for quite some time, I loved to help out loads of players! I was good at my job until I eventually was put into the decision of resign or get demoted as a staff member who was quite high up hated me as the owner favouritised me as I was good at my job and they made fake evidence of me x-raying so I just ended up resigning! But hey another to add to the list! This was my friends factions server that he tried to start up I was a Co-Owner on this server and we were developing the server and it was myself who kept funding the server I had paid at least £100 gbp to keep the server going until I eventually had enough and the Owner was doing absolutely nothing and taking my money for granted. LegatumRaids was a Factions server I tried to start with a few friends, we were doing good so far until we ended up fighting and falling out over server plans and we decided to scrap the server in case of another argument. I was a Co-owner on Bozhycraft we were doing well with the server had a decent staff team until I decided to resign to try and apply for UniverseMC and I got accepted so I said my official goodbyes but I am still friends with the owner to this day! Leadership group was a group in my high school that focused on teaching younger pupils how to have good leadership skills and how to punish accordingly if someone is doing something wrong. STEM Group was and still is a group in my school that focused on getting pupils to completely redesign anything they want to improve the quality of it, I was the leader of my group until I decided that it was not longer the kind of thing for me. This is a group of around 20-25 people who all gather up once a week to plan stuff to do and so far we have decided to do some little experiments until after Christmas when we will be setting up a balloon with a camera etc and sending it into space I am one of the fellow leaders of this group and one of the coders to also help code the mini rocket/balloon with technology to send it into outer-space. That is all the experience I have at the moment. I thoroughly enjoy all of these activity’s. I would firstly start off with calmly asking the players not to spam me and then ask what realm the hacker is on and what kinds of hacks they suspect them to be using, after that I would then ask if they have any evidence such as a video of the player with hacks I would then contact a moderator and show to them all of the evidence and give all the information I have received so that they can handle the situation. I would then proceed to warn the user blasting music or either mute them or move them into w different channel so that they don’t cause the user who reported them any more harm and then continue with my day until someone else needs help. I would first explain to all of the players why the user has been punished and then politely ask that they do not spam me, I would then check if my punishment was false by checking with a higher member of staff such as a Administrator and if my punishment was indeed false I would deeply apologise to the player and undo their punishment and continue with my duties. I put a lot of time and effort into loads of different things and I will put my up most commitment into being a helper on the UniverseMC network, this includes helping catch and punish rule breakers, moderating chat, having conversations with users and staff, trying my best to cheer people up when they’re down. I am very familiar with back clients due to the fact that I am a ex-hacker so I can spot hacks quite easily and I know what kill aura and majority of other hacks look like. I am always ready to help players in need and help the staff team for second opinions on footage of players to try determine if they’re indeed hacking or not, I will also try to help do things even when not asked to do so, the reason I like to help so much is because I know if I required help I would like to receive it. I can be very patient and wait for answers to things and I will try not to annoy people to much for an answer to a question. I like to create a fun atmosphere for myself and others around me. I try to be funny as much as possible and I always try to cheer people up. I am a very caring person and I like to make sure that everybody is doing well and if not if there is anything I can help with, and if someone needs help I always try my best to help them out. I am a very hard worker I like to work hard on all tasks and projects that I may have. I am very honest in all situations and you are able to be confident that I won’t lie to anybody even if the situation regards issues with myself. I am a very trustworthy person, you are able to trust me in all situations and rely on me not to tell people about what I am told within the staff team. I am a very persistent person and I like to succeed in what I am doing and if I don’t and I feel like giving up I tell myself “if you don’t succeed at first try and try again” and also “if you don’t try then you won’t get anywhere in life” and these quotes help me in staying motivated. I always try to be as motivated as possible so that I can complete my work and have a positive attitude within everything that I do and I try to overcome obstacles instead of giving up if I don’t succeed. I try to have a positive attitude in everything that I do so that I can hopefully succeed and possibly even make friends along the way! I am a very kind person overall and I try to be as kind as possible and if I am not then I can only apologise and ask people to point that out to me so I can possibly take a break and try to calm myself down etc, but I am normally a very very kind person and I treat others how I wish to be treated and that is with respect and being kind to one another. All of these things have a big impact on me and my life as these are the skills I tend to look for in others and I would like to be treated the same way. 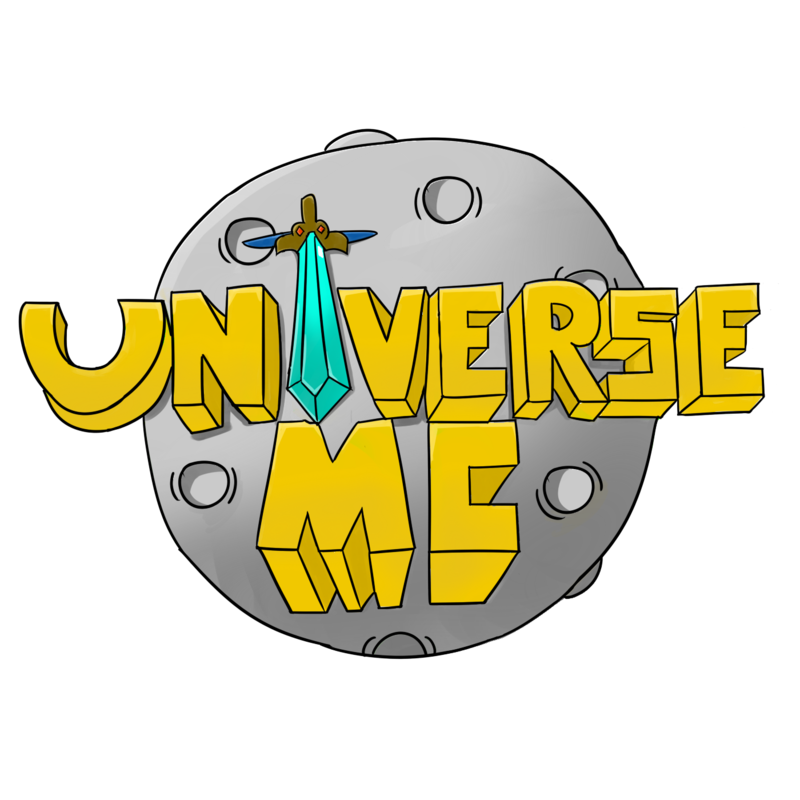 I would love for this application to accepted as I would one to have another shot at being on the UniverseMC staff team, for everyone who reads this please feel free to give me your constructive criticism so that I can improve my application. If I am accepted as a helper again I will work hard to fulfil my duties as helper, and if I am denied then I will try my hardest to work hard on another and better application to the best of my ability. Thank you to everyone who has reviewed my application and I urge you all to please leave me some feedback on how I could improve with this application! I hope you all have an amazing day and hope to see you around the UniverseMC community! Your application has been intensely reviewed by the management team and it has been decided to deny your application, you may reapply in 2 weeks. - You haven't waited the full 2 weeks to re-apply. Please take care to fix this up when creating your next staff application in 2 weeks.